As you might know, our sailboat is in Rhode Island, and because we have obligations in New York we can only go short distances, for now! If you are in Rhode Island, depending on your location here are some great options for food. Leon’s Cafe & Catering – OMG, This place is incredible! We decided to ride our bikes from Barrington to Providence one day and figured we would find a breakfast joint along the way. As we are on the bike path, and getting really hungry, we noticed a faded sign on the back of a building. I am so happy we did. Daily baked bread’s, home-cut meat’s, and fresh ingredients leave you wanting more. Not that you have room, these portions are plentiful and very well priced. My last breakfast was a special, Belgium waffles with grilled pear, peach and pineapple tossed in a honey and cinnamon sauce. WOW, it was not sweet, and just the right mixture of everything. It’s not only the food that makes Leon’s Cafe so wonderful, the people, the staff, the quaint feel to room, it all adds to the overall experience. This is our favorite for breakfast, we will be regulars here anytime we are in Barrington. Click here to visit their website to learn more about them. Flo’s Clam Shack – Ice cold beer and giant lobster rolls, amazing! We were in Newport, RI and had just finished walking 7 miles (we did the Cliff walk), we were hot, tired and starving. We asked a local for advice, we wanted a cold beer and fresh seafood, and that is what we got. He told us that the local like a place called Flo’s. Flo’s Clam Shack is great, it’s open and airy, great seaside decor with eating seating inside or out. You order your food from the window and then grab a seat and wait (it’s not a long wait). We had never had a lobster roll before. We order one each and a Corona. The lobster roll came with fries and left us filled. We had a great time at Flo’s and we can’t wait to go back again. Give it a try and hopefully, you will love it as much as we did. Click here for more info! Blount Clam Shack – Just down the river from our sailboat is this yummy Clam Shack. Out one day in the dingy and we decide to stop for some fried clams and cold beer. The portions are LARGE, the food is great and the beer cold. You can sit there on the edge of the river and watch the world go by while enjoying some great food. Definitely worth a stop and you can arrive by car, foot or boat, how awesome! There was no line when we went, but we have seen the line and sometimes it is quite long, be prepared, and yes, it’s worth the wait! Click here for more info! Please remember that we all have different likes and such…these are ours and we wanted to share them with you. If you are in these areas, stop in and check it out for yourselves and support some local eateries! So after a lot of hard work and elbow grease, Ocean Phoenix is ready to test a short liveaboard situation. We headed out on the Sunday afternoon before the 4th of July to stay aboard for a 10-day stretch. We had a short to-do list but nothing major. A few lights still not working to check, our solar panel needed to be rewired and our autopilot had no power. We also needed to install the correct battens and a reef line. Originally I had connected the solar panel charger to the battery disconnect. Unfortunately, we only got a MAX Voltage of 12.4 no matter how long the panel charged the batteries. We changed the wiring to go directly to the battery – now we have consistent 12.6-12.7 volts and no usage issues. Ah yes…. the autopilot. I (James) approach electrical with a bit of a candid feeling. I have a great meter and some basic knowledge of how the system works but I am definitely NOT an Electrician. However, a working autopilot is nice to have as Tammy and I are going to be the only crew most if the time and our 37R is a handful. It helps when we are flaking the mainsail and such. I checked the fuses – all good. Checked the power connection to the smart pilot module – no power. And we found the issue! The power wire was disconnected. So we connected the wire and hooray! Autopilot. This was the week that we wanted to assend the mast and check out the steaming light, anchor light and replace the topping lift halyard. But who will go up??? Since I have had experience hoisting people up and Tammy had not – She drew the short straw. And up she went. The view was amazing. While up, she looked at the anchor light….. It was the most pathetic light I have ever seen. I was only 1″ tall and no more than 3/4″ in Dia. It had a broken wire on it so we just removed it for now. We will replace it with a large LED light. The steaming light tested OK so we still have a few more checks to do to resolve that. And finally the topping lift. The sheave at the top of the mast is gone. All that was left is the hole for the bolt to go through. So I guess we will be buying a sheave this fall also. The bottom line is the mast will be unstepped this fall so we can service it properly. We also have some wind instrument issues so we will service the entire rig. We never did get our fuel gauge working, that will be for another day. We did however get our compass light working as we found a broken wire for that. Enough about maintenance and on to the vacation items. We spent the day at Newport RI. We did the Cliff Walk and it was amazing!!! 3.5 mile one way of beautiful shoreline overlooking the ocean. There is a trolley that takes you back to the start point but due to the trolley being $1.75 and only having a $10 bill ( the trolley gives no change) we decided to walk back through the “Mansion” area. It was well worth the walk and I suggest a person does it to view the magnificent properties. We ate at Flo’s clam shack. food was good and a cold beer after our walk was even better. Back in Barrington, we hit the bike path that runs from Bristol to Providence. It also was very pretty and popular as there were many others enjoying the day on the path. It’s nice and flat for the most part so we will bring our roller blades next time and try that also. On our way, we stopped for breakfast at a small cafe called “Leon’s cafe”. The food was fantastic!!!! All homemade items right from the bread to the sausage and Corned Beef Hash. We actually went back the next day also because the food was so great!! Got a good coat of wax on the hull this weekend. I use a product called Clean & glaze made by Formula five. It is an all in one clean and wax product. It balls up the dirt so it is removed and falls off and at the same time it polishes and lays down a layer of wax all in one shot. It is a great product. It is slightly abrasive so its best to not use a power polisher. We are looking forward to many more boat days this summer and get Ocean Phoenix out more so we can put her through the paces and see how she performs in various conditions. Will keep ya posted on our follies. Fair winds to you all. 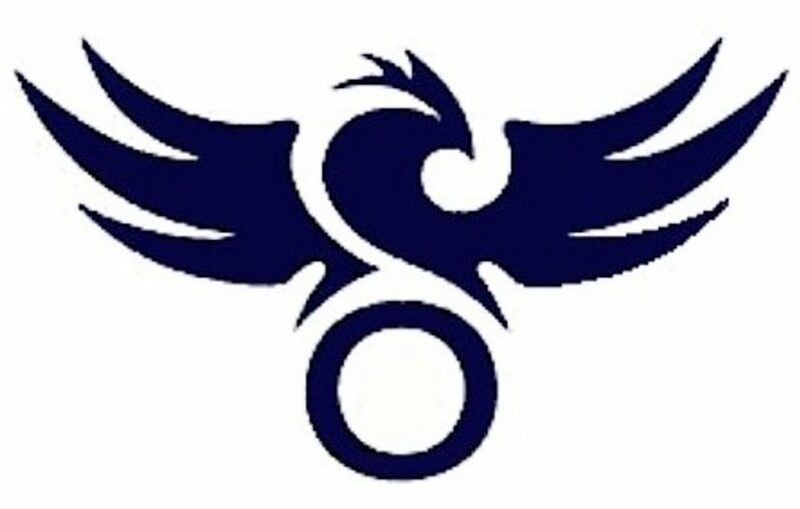 Ocean Phoenix was new to use in August of 2017. We spent the offseason checking everything out, rewiring, fixing the plumbing, so on and so forth. We got into the water and onto our mooring for the first time and there she sat till now. Peter, the previous owner (Who’s Yo Daddy) offered to come out and show us some things, to teach us about the instruments and to answer whatever he could. The day was cloudy, very cool temperatures, next to no wind and a chance of rain. But we all meet on the boat and we have really happy we did. Peter was a wealth of knowledge. He helped us with what was wrong, made suggestions and showed us what was missing. Next came the fun part. We all wanted to take her out. We were not sure that we were going to be able to sail with almost no wind, but what the hell, we went. We let loose from the mooring and motored out. Once we were in deeper waters and away from all the moorings we turned off the motor and up went the sails. It is at this point that everything changes. She now has her own wings and man can she fly. The wind did pick up to about 10 knots and we got up to 7.2 knots of speed. It was a truly remarkable feeling, at the helm, tacking, any and all of the work is worth every second that you are under the power of the wind. The three of us worked in sync and spent an amazing afternoon on the water in the cold weather. We do have some things that we need to work on and with the assistance of Peter and some other helpful Facebook friends, we will get there in no time. Our next adventure is right around the corner…we are spending 10 days on board. I know it’s not a lot, but with us in Troy, NY and the boat in Barrington, RI and having jobs and a son starting high school in September, we will have to bide our time. A big thank you to Peter for selling us an amazing boat for you helping and teaching us. Can’t wait to do it again!